Ho-Jiak is the dialect for 'delicious', so it greatly surprised me when my partner told me that the place was famous for their Japanese food. Opened by two NUS graduates in November 2016, Ho-jiak has steadily grown in popularity in the competitive local food scene. The cafe is located in a secluded corner of the Fuji Xerox Tower and is a familiar place for those who work around the area. My partner rarely makes any recommendation, so when he says that this was, quote, "one of the best Japanese curry bowls at an affordable price", I knew that I had to go check it out! Two bowls of 'Double Goodness' at Ho-Jiak, yeah! You can't tell that the place sells Japanese food from the atmosphere in Ho-Jiak. Lights wrapped in adorable cheerful pots and pans hang from the ceiling, and the walls boast of seasonal craft beers that change frequently. A metal construction canvas hides the kitchen from the diners, and the latest pop music blasts through the hidden speakers of the cafe. I couldn't help but notice that every single customer who came into the cafe wanted the oven baked chicken leg. Unfortunately, they ran out of that when we were there. Both of us ordered 'double goodness' because we're just... hungry monsters, you know? We had no choice but to go for the Pork Shabu and Beef Shabu options. The service staff (lady) was really nice and she decided to give us additional Chicken Karage on-the-house. I was also surprised that the bowl contained edamame beans (my favourite!). While the bowl is pretty satisfying, I could see why the chicken leg might have make a better option. The thin strips of meat were not to my liking because it didn't give me that 'juicy' bite which would have been perfect with the sweet Japanese curry. Hopefully, they can extend their opening hours or even open on Saturday so that I can get to try the Chicken Leg one day. Hop out at Tanjong Pagar MRT and take Exit A. Walk towards 100AM (you wanna keep left) - we're just across the road from 100AM! 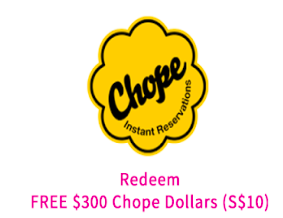 Fulfill your first Chope reservation and earn a SGD$10 restaurant voucher after dining. Simply book through Chope using this link https://cho.pe/hbLei and you're all set.